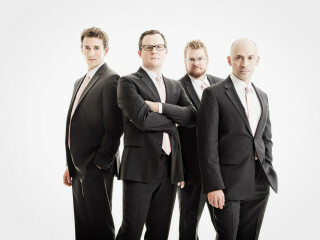 New York Polyphony is regarded as one of the finest vocal chamber ensembles in the world. The four men sing with intelligence, subtlety, and consummate artistry, applying a distinctly modern touch to repertoire that ranges from austere medieval melodies to cutting-edge contemporary compositions. Their dedication to innovative programming, commissioning new works, as well as a focus on rare and rediscovered works, has not only earned New York Polyphony critical acclaim and a devoted following, but also helped to move early music into the classical mainstream.